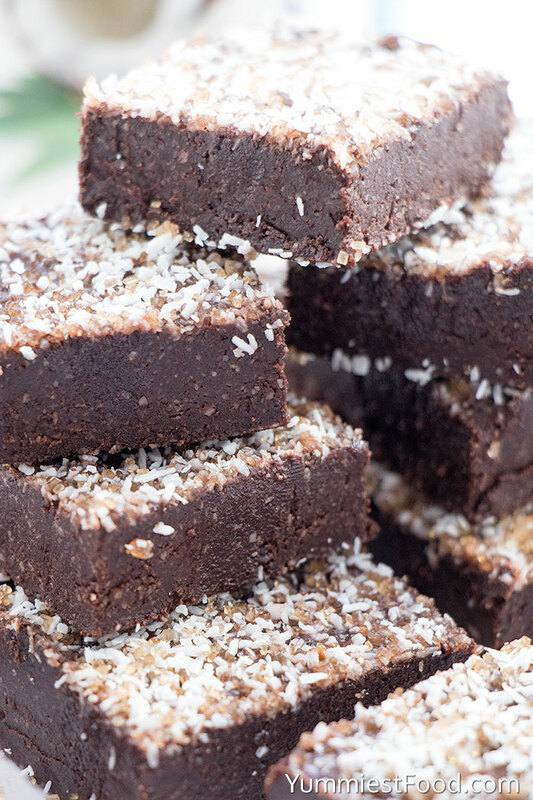 Coconut Oil Fudge is naturally sweetened, dairy-free, gluten-free and packed with just healthy nutrients. It isn’t a low-calorie recipe, but it is very low in lipids and uses natural sources of sweetener. Similar recipes use nut-butters (almond or peanut), but certainly healthier and finally tastier is with ground nuts! To skip store-bought kind nut butter, loaded with sugars and preservatives (check out their whole ingredient list! ), I decided to use just ground almonds. The taste is great! Only if you have homemade almond or peanut butter, would be a good option. In order to get impressive health benefits of coconut oil, make sure to choose organic, virgin coconut oil, not refined! 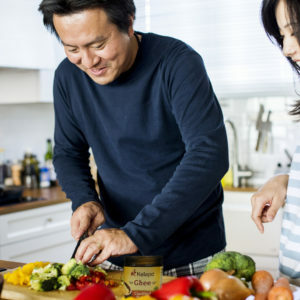 The unique combination of fatty acids in coconut oil can have positive effects on your health. It contains saturated fats that can boost fat burning and provide your body and brain with quick energy. They also raise the good HDL cholesterol in your blood, which is linked to reduced heart disease risk. The fatty acid in coconut oil can kill harmful microorganisms, may reduce seizures, boost brain function in Alzheimer’s patients. Coconut Oil can help you lose fat, protects your skin, hear and dental health. Most health food stores should carry 100% virgin unrefined coconut oil, or you can purchase it online. How Do You Make Coconut Oil Fudge? In a small saucepan combine all ingredients (coconut oil, cacao, ground almonds and maple syrup), heating over medium-low heat. Whisk until smooth and well combined. This should not take more than a few minutes. Unlike most vegetable oils, coconut oil is solid at room temperature. On cold winter months, coconut oil is even more hardened, but it will melt at 76 degrees F. So, just low heat and whisking will make mixture better combined. Pour the mixture into prepared pan (with parchment paper), and place in the fridge to harden, about an hour minimum. 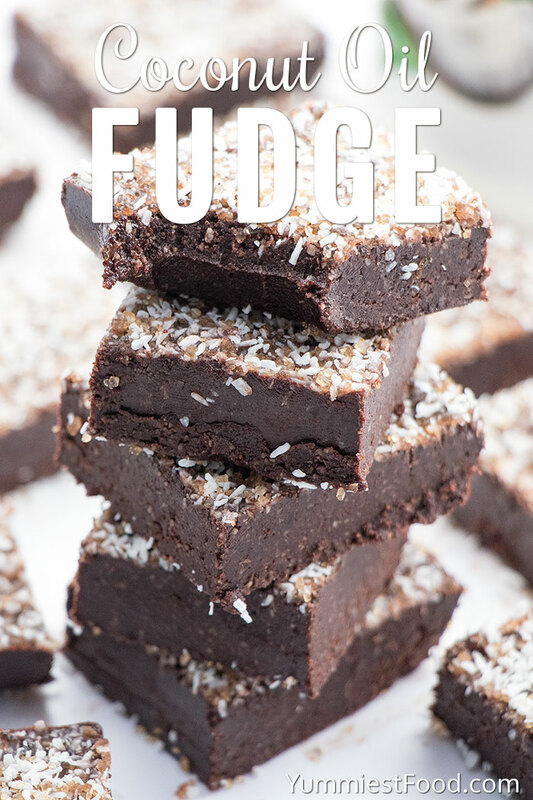 Optionally, decorate your Coconut Oil Fudge with coconut powder and cane sugar (organic). 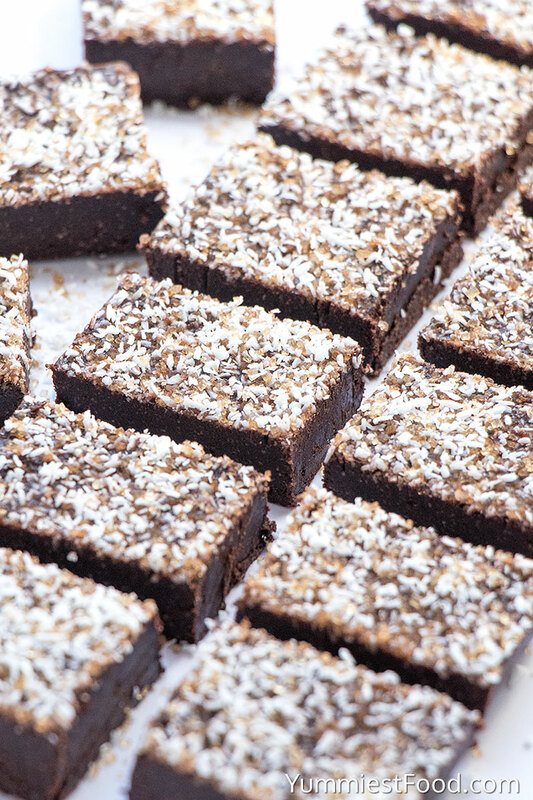 Store Coconut Oil Fudge in the refrigerator, at room temperature it gets soft pretty fast. In a small saucepan combine coconut oil, cacao, ground almonds and maple syrup. Heat over medium-low heat, whisking, just until smooth and combined. Place in the fridge to harden and set, about 1 hour. Nutrition calculated per 1 square ( 25g). Store Coconut Oil Fudge in fridge or freezer. This Pin was discovered by Does Coconut Oil Really Clear Up Acne. Discover (and save!) … paleo fast food #coconutoilforacne. Visit … #Cake #Recipe. Sourced from slow-growing, minimally processed pigs. Uncured, nitrate-free, and sugar-free. 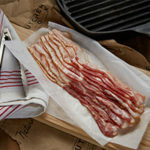 The best bacon ever (seriously!). 100% paleo and keto-friendly. 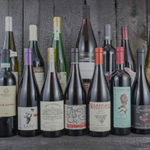 The best all-natural, lab-tested and healthy wines. No hangovers. No headaches. Sugar-free. Paleo lemon cake is one of my favourite treats that works equally well as a healthy dessert, snack or breakfast. It’s gluten free, dairy free, refined sugar free and grain free, so it’s perfect if you have to accommodate various dietary restrictions. This paleo lemon cake turned out delicious and is so quick and easy to make. It’s sweet, zingy and fresh tasting from plenty of lemon zest and it has a satisfying cakey texture. I used coconut flour in this paleo lemon cake recipe, as that’s my preferred flour to use in paleo baking these days. It’s nutritious and low carb plus it’s high in fibre so it’s an excellent flour alternative to use in all kinds of healthy desserts, muffins and other treats. I love that coconut flour adds a subtle sweetness to desserts without being overwhelmingly “coconutty” tasting. Coconut flour absorbs liquid differently than regular all purpose flour, so it’s important to note that you can’t just substitute coconut flour for wheat flour in most recipes without adjusting the other ingredients. I find that adding a few extra eggs to cake recipes often allows me to substitute coconut flour with good results. I used extra virgin olive oil as the fat in this paleo lemon cake. I tend to use olive oil when baking, regardless of whether it’s a sweet or savoury dish. Extra virgin olive oil is paleo diet friendly, dairy free and full of healthy fat so it’s a really good option to use in healthy dessert and snack recipes. I love the rich, warm flavour the extra virgin olive oil adds to this healthy lemon cake. If you prefer to use a different oil, feel free to substitute it. Any liquid fat (including melted coconut oil) should work well in this recipe. This paleo lemon cake freezes well, so go ahead and stash some in the freezer and thaw it out as needed for a healthy dessert, breakfast or snack. If you prefer to eat your cake in muffin form, you can make these in a muffin tray with paper liners. To convert this recipe to make paleo lemon muffins instead, simply reduce the baking time to 33 minutes.